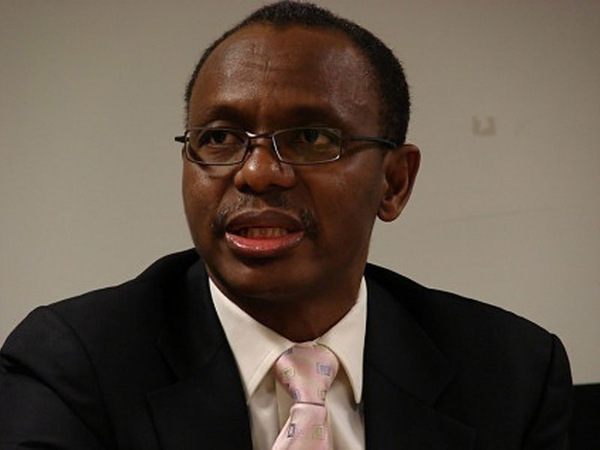 Nasir El-Rufai: The tragedy of abandoned projects? Eleven thousand, eight hundred and eighty-six (11,886) abandoned projects that will cost an estimated N7.78 trillion to complete! These alarming figures are from the report of the Presidential Projects Assessment Committee (PPAC) set up in March 2011, by President Goodluck Jonathan to look into cases of abandoned Federal Government projects. If the government does not start any new projects, it will take more than five years budgeting about N1.5 trillion annually to complete them all – and that is assuming no cost-over runs or delays!¨Ordinarily, these figures should compel the government to accelerate the completion of all ongoing projects, or at least focus on high priority ones. Unfortunately, this has not been the case: Government would rather continue the weekly charade of awarding new contracts or re-awarding old ones at higher prices during its weekly Federal Executive Council (FEC) meetings. ¨As trillions of naira are being wasted in the name of public projects, it is important to understand issues like how projects are initiated, bid for, negotiated and awarded and why they get abandoned. Who and what are really responsible for abandoned projects? Are poor planning, haphazard procurement, and incompetent project management the key causes or is it financial mismanagement? In spite of mobilisation fees already paid, why is nobody held accountable when projects are not completed? How far can the Bureau of Public Procurement (BPE) or other agencies with requisite mandate go to address the root causes of abandoned projects? ¨There is a need to briefly examine how projects are initiated and contracts awarded. The first step ought to be conception of projects that fit within a scheme of national vision, strategy and development programmes. As we have stated in this column, a 27-page “transformation agenda” tucked away in the website of National Planning Commission (NPS) falls short of this. This “agenda” is largely inconsistent with the Federal Ministry of Finance medium term sector strategies and budgeting priorities for 2011 and 2012. Most projects are therefore conceived out of nowhere and lacking in internal coherence and consistency with other programmes. ¨Next is to plan and design the project in detail. Assume a road is to be constructed between two locations, the rights-of-way must be surveyed, levels taken, alignment finalised, road designed, and detailed drawings, bills of quantities and other bidding documents prepared prior to inviting pre-qualified engineering contractors to submit competitive tenders. The design development process can take anything between some months to more than a year, while it takes a minimum of five months from advertising invitations for bids to presentation to the FEC or other approving authority. This suggests that design and procurement processes for any project ought to start at least a year or two before being budgeted for. This only happens in a few foresighted agencies (MDAs).¨Typically, nothing happens until the budget is passed and cash backed, then the implementing MDA begins the fire brigade work of compressing this timeline into a few weeks! Most MDAs wait until projects are included in budget or the budget passed before they start project surveys or design or the procurement process. When an MDA spends at least five months on procurement, how much time does the contractor have to execute the project and draw down the funds before the financial year runs out? This becomes a big issue as MDAs are required by law to return all unspent funds to the treasury by the year end. ¨To understand why projects get abandoned, we must also understand the pervasive lack of continuation in policies as occupiers of political offices change. Whether it is long-term development plans or contracts for critical infrastructure, the repeated practice in Nigeria is that once new people are in office, policies or programmes of the previous administration are abandoned. This unwillingness to ensure policy continuity is the root cause of nepotism, corruption and impunity, as officials often re-award such contracts to cronies and generous campaign donors at inflated prices.¨In this regard, the “democracies” have not fared better than the military in policy consistency. From Obasanjo’s NEEDS, to Yar’Adua’s Seven-Point agenda, and now, Jonathan’s Transformation Agenda – there has been continuity of policy inconsistency within the same ruling party – and turning projects that would have ordinarily benefited the populace into drain pipes. Critical examples are the N52m Zobe dam in Katsina, commissioned in 1983 by the Shagari regime; not only has several times the original amount been spent on the project, it has not pumped up a single litre of water. And the Ajaokuta Steel Complex which has gulped about N675bn, but still not produced much steel. ¨When projects are abandoned, the usual reason given is lack of funds, though often it is the pre-contract mishaps already alluded to, and project management deficits that are the fundamental causes. How can funding constraints be blamed for project failures? Should one not wonder why a project is approved in the absence of adequate funds? In fact, section 4 (2) (b) of the Public Procurement Act 2007 states plainly that all procurement shall be ‘based only on procurement plans supported by prior budgetary appropriations; and no procurement proceedings shall be formalised until the procuring entity has ensured that funds are available to meet the obligations and has obtained a “Certificate of ‘No Objection’ to Contract Award” from the Bureau’. Simply put, the law requires that no contract should be awarded if funds are not available for it from the onset!¨It is intuitive that abandoned projects fuel corruption and reduce public confidence in governance. The excuse of inadequate or delayed funding may sometimes be contrived. Such an inference could be drawn as abandoned projects are more often than not re-awarded at unjustifiably over-bloated sums. The increased costs are subsequently justified by blaming inflation, exchange rates, labour and materials cost increases amongst others.¨If we intend to check the abnormality of abandoned projects, the relevant laws have to be strictly adhered to. Section 63 (1) of the Public Procurement Act which states thus: ‘In addition to any other regulations as may be prescribed by the Bureau, a mobilisation fee of no more than 15% for local suppliers and contractors and 10% for foreign suppliers and contractors may be paid to a supplier or contractor …’ must be firmly applied. According to the PPAC, it is not uncommon for contractors to be paid mobilisation fees in excess of 50% of the contract sum, often in apparent violation of the law.¨While the Executive arm of government is largely to be blamed for abandoned projects, it is not alone. The National Assembly is liable as well by unlawfully and unconstitutionally inserting new, unplanned projects into appropriation bills expecting them to be implemented. The National Assembly has joined the executive branch in ignoring the funding needs of existing projects to completion and commissioning. Take the Zobe dam mentioned; does the representative of that constituency not have the responsibility to pursue and ensure the strict completion of projects in his constituency? If the focus of the government is on development and service to the people, why should officials seek approval for new projects when unfinished ones do not enjoy adequate funding and sound project management? ¨The Public Procurement Act 2007 established the Bureau of Public Procurement (BPP) with the National Council on Public Procurement (NCPP) as the regulatory authorities saddled with the oversight functions of monitoring procurement and implementation of federal projects across the country. These statutory functions have been hampered by lots of challenges, including the late passage of the annual appropriation acts by National Assembly and abandonment of the procurement processes by the relevant MDAs if favoured bidders turn out to be unsuccessful. ¨If properly sustained, the Due Process and Certification Mechanism started by the Budget Monitoring and Price Intelligence Unit under Oby Ezekwesili, would have been one of the many benefits of the legislation. This has however not been the case because of policy discontinuities and the cravings of politicians to have unfettered discretion in awarding contracts.¨The Federal Government needs to, as a matter of urgency, comply with the provisions of the Public Procurement Act. The government must curb the temptations or pressures to embark on new projects when so many remain uncompleted or abandoned. Desirable projects must be continued irrespective of whichever administration initiated them. The NCPP, which is yet to be constituted, should be urgently inaugurated to superintend the activities of the BPP, as opposed to the current scenario where the FEC usurps the Council’s statutory functions.¨As you read this, the Federal Ministry of Finance recently announced the release of N300 billion for capital projects for the third quarter of 2012, bringing the total release for capital projects so far this year to N704 billion out of nearly N1.5 trillion for the year. Most citizens will not feel the impact of this amount because the planning, procurement and project management processes are still fraught with nepotism, corruption and impunity that many projects may end up on the abandoned projects list – after billions have been paid as fungible mobilisation advances. Our nation must do better. We must demand that our leaders do better!